In a recent Google Tech Talk – The Quantum Conspiracy: What Popularizers of QM Don’t Want You to Know Ron Garret makes the case for the “Zero-Worlds” theory. What I like about it is how it destroys our notion of an absolute materialistic universe and makes it appear as if our universe really is a construct of a matrix like quantum computer. He makes the case that that human brain is classical, like a turing machine while fundamental reality is quantum. We are not a quantum computer, however we are made out of a quantum computer. We like to think of ourselves as existing in one objective universe. However this is impossible based upon what we know from quantum experiments. 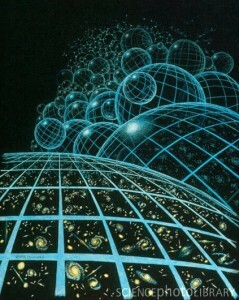 There either is no universe (zero-universe) or there are an infinite number of universes. My personal opinion is that both quantum views are correct. However this requires a paradigm shift in how we think about reality. More on how this works later. …. the particle-like behavior of quantum systems is an illusion created by the incomplete observation of a quantum (entagled) system with a macroscopic number of degrees of freedom. “Spooky action at a distance” is no more (and no less) mysterious than ‘spooky action across time.” Both are produced by the same physical mechanism. My personal thoughts on the subject. 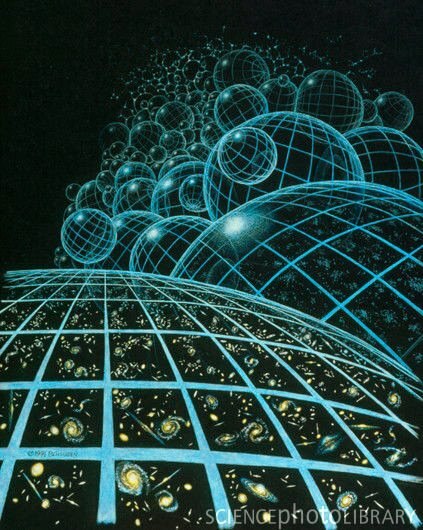 So how can it be there is no absolute “real” universe and there are multiple universes simultaneously? This is because none of the universes are “real” to begin with. First we need to dispense with conceptions of inanimate matter. The universe according to QM theory is like a holographic construct. The key question then is WHO or WHAT is then creating the hologram? The answer is that the universe is fundamentally a psychological gestalt. 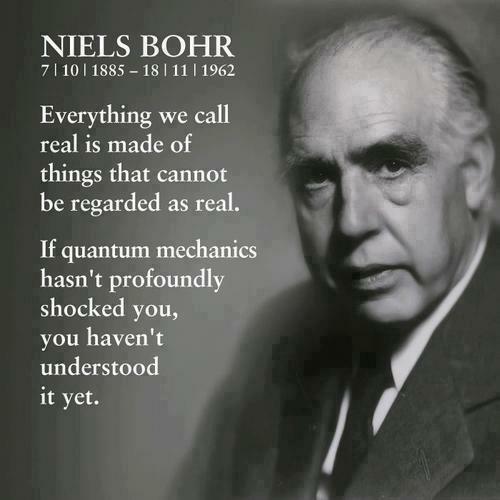 In those terms it makes the quantum madness much more understandable. The universe is literally continuous self replicating psychic energy. That psychic energy then dreams physical universes and it’s inhabitants into existence. But why the infinite universes? Why the continuous replication? The reason is as follows. The universe is novelty seeking. The replication of psychic building blocks and thus universes is a fundamental aspect of reality and how it creates itself. It seeks to know itself through creating itself and multiplying itself. It is the psychological burden of the universe. It is also said that all reality doubles with every moment. Forever…. The psychic building blocks replicate like pieces of Lego. The Lego pieces are then used to build new forms and shapes. The universe is like a piece of origami that continues to unfold constantly creating new things. Quite simply this is how novelty is achieved through a basic self-replicating process. It is the principle of emergence, how complex things arise out of simple interactions. It is the very basis of life. Pleas read my article Hyper-dimensional fractal cube reality for more insight. The thing is every new form that is created, then also replicates itself. And this works it’s way up from the tiniest thing to the scale of the universe. So where do we fit in? 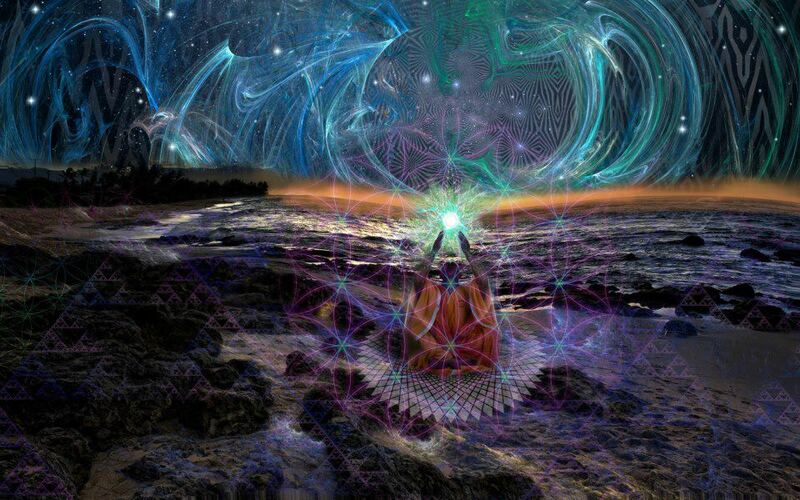 We are specialized consciousness that bridge the gaps between universes. 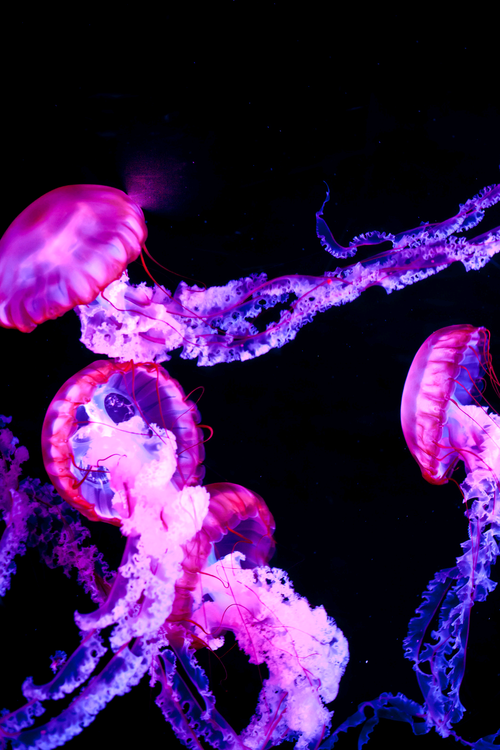 All universes replicate forever, our consciousness chooses which replication that it wants to experience and be aware of. Consciousness therefore has the ability to superimpose itself and straddle multiple realities simultaneously. Every previous moment goes on to create it’s own reality, that we are unaware of. Our consciousness is setup to maintain a type of linearity to give a sense of durability out of a universe, that is constantly moving and replicating. This gives rise to the unique type of experience of time which itself is also an illusion. Consciousness has durability, physical reality does not. “….They are in other words, only apparent properties of physical material. Physical material has in actuality two main properties. It is spontaneous and instantaneous. No particular physical particle exists for any amount of time. It exists and disappears, and is instantaneously replaced by another. The third actual property of matter is what I will call pattern assumption. It assumes and flows within patterns. 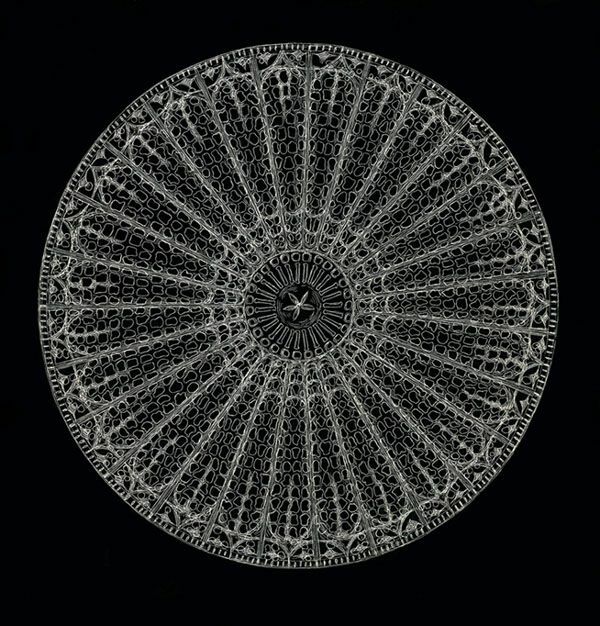 The existence of the patterns gives the illusion of a permanence of matter that is highly misleading. There is so much to be said here, as it is also necessary to consider the ways in which physical material is constantly created, and to consider the role of the senses. This may seem like a sideline but it is not. In the painting of a picture, you are actually forming new patterns through which energy can flow into material form. There are reasons, which I will discuss later, why the painting, that is the physical pattern of a painting, may seem to, and often does, exist longer than the man who paints it. No particular physical particle has any kind of durability. It constantly vanishes as such, and is replaced. The pattern which is filled by physical matter is composed of, of course, psychic energy; and it continues like an afterimage, seeming to become weaker, as indeed it does, as it or the energy behind it passes beyond the field in which matter as you think of it is effective. 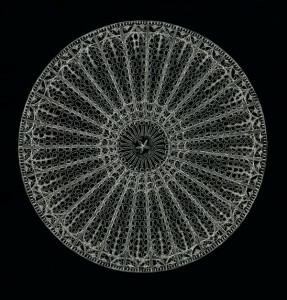 Growth in living things, perceived as living organisms, does not involve the extension of a particular physical thing. …Since matter is constantly created, and instantaneous, many of your ideas of time are of course distorted since you have taken it for granted that matter changes with, or in, time. You have judged a time interval by the seeming changes in a given material object. This refers me back to your false cause and effect theory. For practical purposes so far this theory has not been too binding, but it is becoming so. Time does not cause change in matter, appearances to the contrary. I am going to skip a giant step, and say that man himself and all conscious beings produce matter subconsciously. I will fill in the rather important details later. I wanted to make this point, since matter is created by the subconscious, and since it exists simultaneously and instantaneously, and since its creation or rival, and its departure or replacement, are instantaneous. 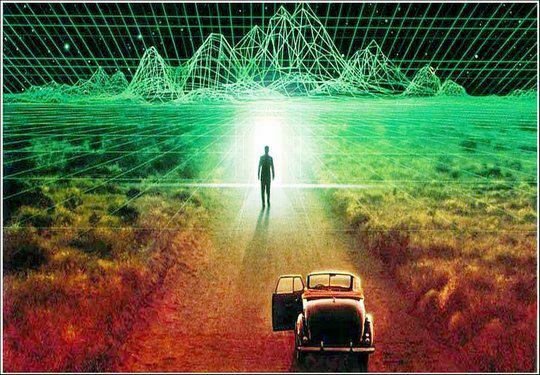 Once this is understood it becomes at least theoretically possible to re-create the material of the past, in so far as the patterns for the material have been retained…. …Growth is an erroneous conception that begins with the distortive idea of continuous physical matter, durable in time. And as you know instead, matter is the simultaneous expression of consciousness. Matter has little, really no, durability in itself, and is merely the instantaneous form taken by consciousness as it projects itself in the physical field. Grass is common. It is supposed to grow from seed, yet again no particle of matter is the same in grass or seed. Seed does not grow into grass. Acorns do not grow into trees. Children do not grow into adults. In all instances, no particle of matter is the same in the so-called grown version, and the initial construction. Matter does not grow. I cannot make this too plain…. …The idea of past, present and future is a necessary one on your plane, but this certainly does not mean that time exists in the manner which you suppose. You are obsessed with the theory of beginning and end, because in your situation your camouflage constructions seem to have a beginning and an end. For the same reason you are also obsessed with the idea of cause and effect, with the illusion of successive time bringing forth the other. Here we have two of your most basic idea camouflage structures: your conception of time as a succession, and your idea of cause and effect. There is no cause and effect in the terms in which you understand the words. Nor is there a succession of moments that follow one after the other and without a succession of moments following one after the other you can see that the idea of cause and effect becomes meaningless. An action of the present in your terms cannot be based or caused by an action in the past, and neither action can be the cause of a future action in a basic reality where neither past nor future exist…. ….There can be order without a succession of moments. 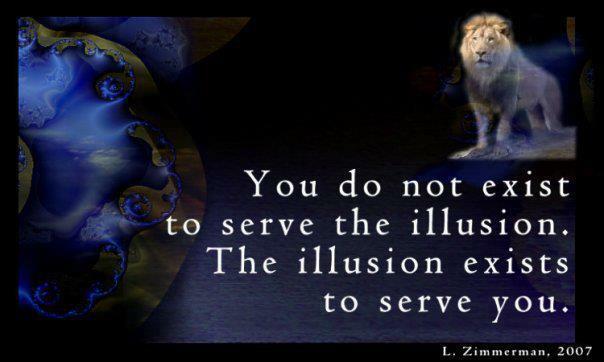 There can be order, believe it or not, without your cause and effect. There can be order, and there is order, in spontaneity, and in the simultaneous existence of the spacious present. Order is one of the most basic attributes of all reality, and order is an inherent attribute in all things. There is no beginning and no end; only your camouflage idea structures give this illusion. All planes of existence have their being in the spacious present, and all fragment dramas are acted at the same time…. ….The distortive illusion of successive moments, and of the resulting conception of cause and effect, are both on your plane the result of the observation by the outer senses, and are practical and useful on your plane and therefore have a certain validity, if for you only. They represent a more or less true account of the nature of your camouflage universe, but if they are understood as being limited to your camouflage environment only, then your scientists would not attempt to use them as yard sticks to measure other universes. “All That Is creates its reality as it goes along. Each world has its own impetus, yet all are ultimately connected. The true dimensions of a divine creativity would be UNENDURABLE for any one consciousness of whatever import, and so that splendor is infinitely dimensionalized, worlds spiraling outward with each ‘moment’ of a cosmic breath; with the separation of worlds a necessity; and with individual and mass comprehension ALWAYS growing at such a rate that All That Is multiplies itself at microseconds, building both pasts and futures and other time scales you do not recognize.